The Clearance Loft is 50% OFF through Sunday November 23. Last chance to grab a bargain or 2 is TODAY? 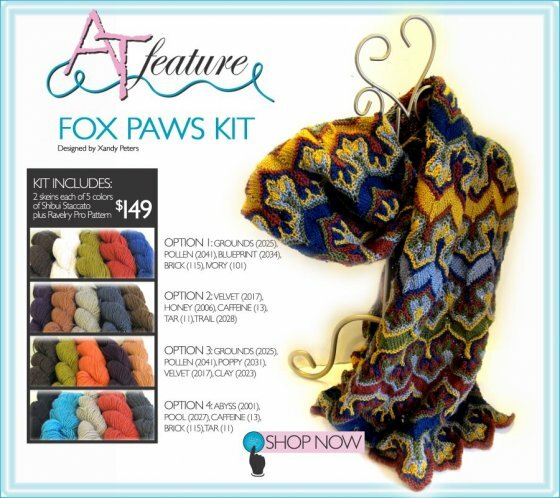 We have a limited supply of Fox Paws Kits. Grab yours today. 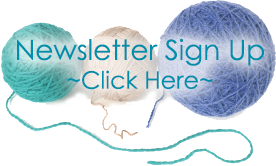 This is a fabulous knit which creates a wonderful rectangular shawl. CHECK THE BLAST WEDNESDAY for Additional Specials!